Cooked and uncooked food waste was collected for composting for the first time by Cotswold District Council’s contractor SITA today (Tuesday, 11th March). Householders who live in and around the villages of Birdlip, Cowley and Coberley were the first in the Cotswold District to have their waste collected under the Council’s new waste service today. Pupils from 54 schools in Gloucestershire have given generously and raised over £5100.00 to feed children in developing countries. Schools were invited to take part in the World Food Programme’s ‘Buy One Give One Free’ initiative, which took place on World Food Day on Monday 16th October. Schoolchildren were asked to donate 11p, which is the amount needed to feed one child in the developing world for one day. As a county, they raised £5144.26, which translates into 46,766 extra children being fed through the World Food Programme’s School Feeding Programme. Sprouts are nice to eat! Sprouts are good for you! Who says? William Haines, whose family have been farming sprouts for three generations in Chipping Campden in the Cotswolds is persuading children that sprouts are nice to eat. 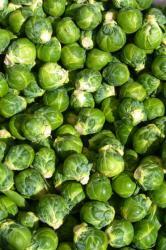 Sprouts are like Marmite - you either love them or hate them - there is no in between. Simon Weaver Cotswold Organic Dairy at Kirkham Farm, Upper Slaughter in the Cotswolds produces a range of Cotswold Brie cheeses using their herd of Friesian cows which are fed on the clover meadows of the River Dickler, farmed exclusively and organically for them alone. The Ebrington and District Gardening Club are holding their 27th Annual Show at The Washbrook Barn, Ebrington and in spite of the recent bad weather, the Club is hoping to have lots and lots of entries in all of the classes to show (no pun intended) that the village tradition and its growing and craft skills are as strong as ever. 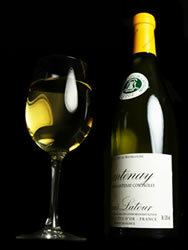 There are classes for - Vegetables, Flowers, Fruit,Floral Art,Cookery,Wine,Photography and Craft Work. 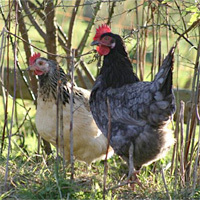 Mabel Pearman's Burford Browns - what another hen! This is another special Cotswold Hen. The name originates from Cotswold farmers Tom and Mabel Pearman who moved to Westhill, Burford during the early 1900's. 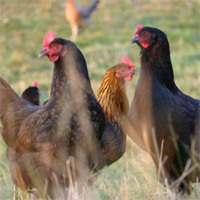 An "Old Cotswold Legbar" is a chicken. The hen lays her eggs in a variety of beautiful pastel colours including turquoise, blue, olive, pink, peach and eau-de-nil. Clarence Court has championed ethical egg production since it was founded seventeen years ago by Cotswold farmer Philip Lee-Woolf and he has pioneered the revival of pure breed bloodlines which, unlike modern hybrids, are bred for egg quality and not quantity.